Candy skulls breathe that little bit of life into alternative fashion. 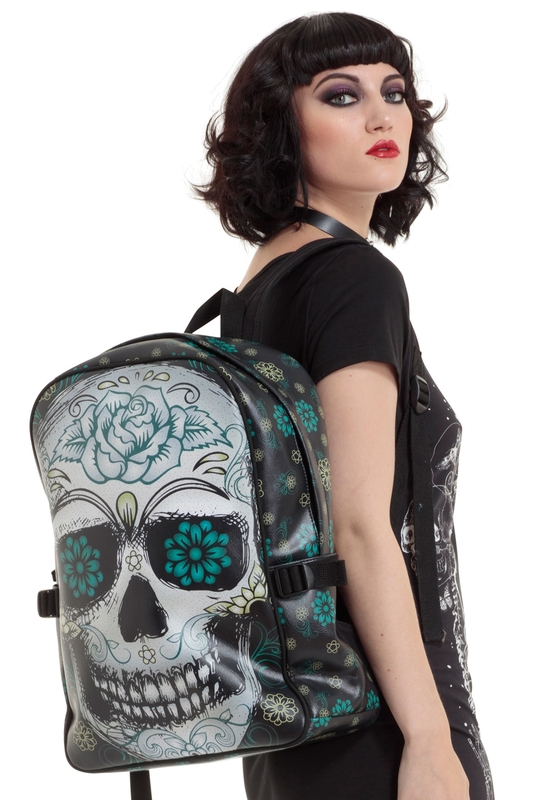 The blue floral on this black and grey toned backpack add new dimension to the Day of the Dead inspired skull print. 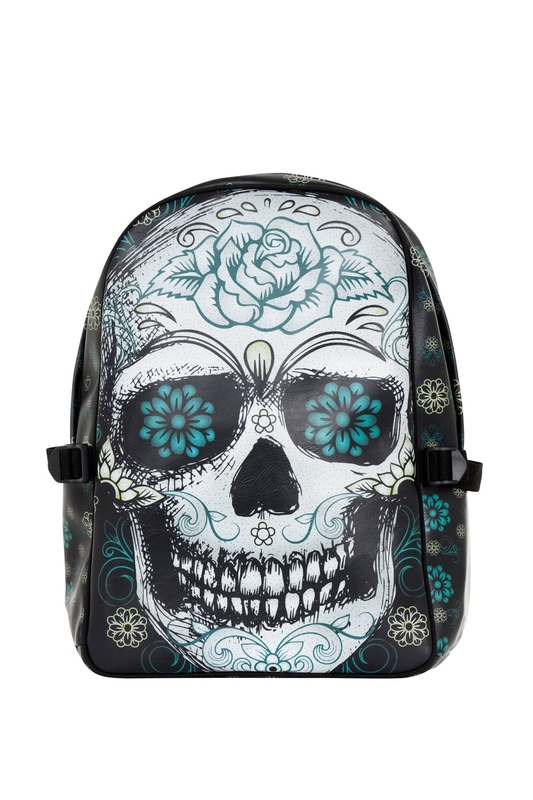 It’s a gorgeous spin on the skulls we’re oh so fond of.